Here’s the thing… you should never discuss your pricing strategy for making an offer on a house, when you are inside or outside of the house you want to buy. Why? Because the seller is likely listening to you. As with anything there are different interpretations of the law. If it were clear cut, we wouldn’t need lawyers. We interpret this as, if you have a device that is listening/recording audio, at least one person in the conversation has to know that its happening. 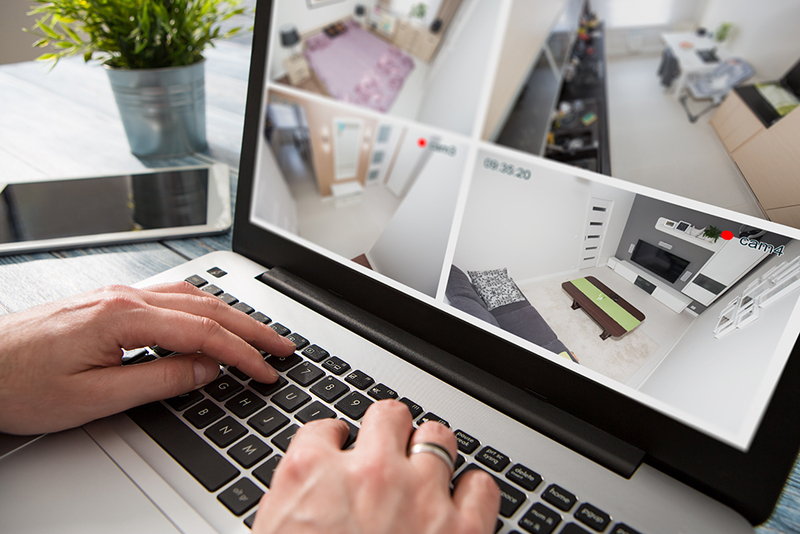 In the instance of a broker and their client viewing a home that is being monitored by a security system or other device, one or both of them should be made aware that they may be recorded. You are clearly allowed to monitor your property. No one is saying that you can’t. But if you are allowing people into your home, especially when you are selling, where sensitive and very personal conversations may take place within it, you should be letting people know. I asked Linda Gifford, Legal Counsel to the Maine Association of Realtors® (MAR), about this matter. While she didn’t think the act of recording was illegal, she did note that they believed showing to others any video or audio that was recorded without knowledge was illegal. She also advised me that in January 2018, MAR will be adding a question on the listing agreement that Realtors® use in order to ascertain whether a property is being monitored by video/audio. After that they will be working with Maine Listings (MLS) to have a field included in the internal remarks of the MLS so that Brokers can be made aware that their confidential conversations may be recorded in a property that has indicated it is being monitored. The legality of it is one question, should you be doing it at all as a seller is another question. Look, people say things, even about properties they want to buy. It doesn’t mean they are bad people, bad buyers, or that they don’t really want your house. Everyone has their own tastes and preferences. Do you really want to hear comments like “It smells like feet in here”, “oh that comforter is hideous!”, “That couch, OMG, my grandmother has that couch”. I get it, how dare they insult your stuff! Remember, you’re selling your house, not the stuff in it. They don’t have to like your couch, or your comforter, or your family photos (which shouldn't be visible anyways). They just need to like the house. Do you really want to start the relationship with your soon to be buyer, already hating them? Most of us want to believe that the home we loved for years is going to someone who will love it as much as we did. And 9 times out of 10, it will, they will love it… they just don’t love your stuff. If you are a buyer, I think it goes without saying, it is best for you and your broker to adjourn to a nearby coffee shop or back at their office to discuss pricing strategy and your thoughts on the home. Don’t give sellers a leg up on your financial state, or your upcoming divorce, or how you really wish they would include the couch in the deal because it reminds you of your grandmother who you love so dearly.